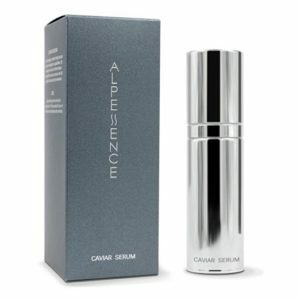 If ever there was an epitome of decadence and luxury, it has to be the Signature Caviar Serum by Alpessence. Promising to rejuvenate your skin, reduce fine lines and wrinkles and give you back baby soft skin, is this serum really worth its hefty price tag? Well, as more and more people are searching for anti-aging remedies, caviar is fast becoming a popular ingredient in the beauty and anti-aging industry. Made in Switzerland by Alpessence, this extravagant Caviar Serum offers anti-aging, moisturizing, firming and brightening benefits for your skin. One of the super benefits from this Caviar Serum is that it uses an Infusion-plus technology to deliver its active ingredients deep into your skin, giving you as much hydration as possible. Provides super hydration deep into your tissues. Accelerates the absorption of your other beauty products. Contains low molecular weight hyaluronic acid. Tightens and firms your skin. Contains Benzyl Alcohol and Propylene Glycol. 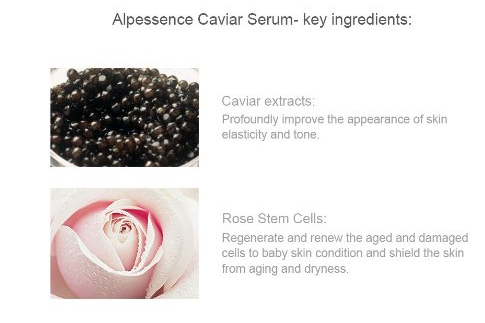 What are the ingredients in the Alpessence Caviar Serum? 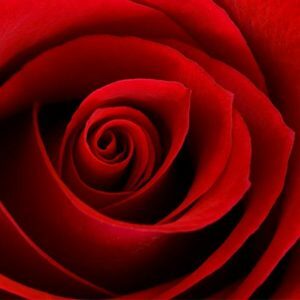 The two most promoted ingredients in this serum are caviar and rose stem cells, but it also contains a lot of other ingredients as well, for example, hyaluronic acid and lactic acid. FYI: This product contains both propylene glycol and benzyl alcohol, so if you want to avoid these ingredients, then the Alpessence Signature Serum is not for you. The caviar used in your Signature Serum is sourced fro non-fertilized sturgeon eggs, which have a unique mix of proteins, minerals and polyunsaturated fatty acids to help increase the firmness and smoothness of your skin. 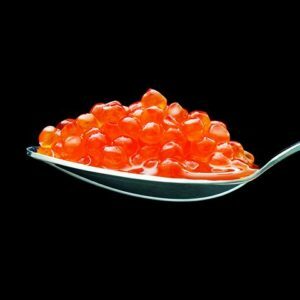 Caviar is chocked full of proteins and amino acids, in fact more than a quarter of caviar extract is actually proteins and amino acids. These are perfect for increasing the production of collagen in your skin and so can have a wonderful firming effect on your skin. Caviar also contains vitamins A, B, D and E, giving you a powerful mix of antioxidants, collagen and elastin boosters, all adding to the anti-aging and rejuvenative qualities of this serum. Don’t forget the moisturizing and emollient properties in caviar (due to hygroscopic, water retaining components) and you have an all round nourishing ingredient for your skin. Plant stem cells have the innate ability to self-renew and are responsible for a plant’s new spring growth and continued growth throughout its life. They don’t actually stimulate our cells to grow, but some research has indicated that they can help to promote the regeneration of our skin’s cells. Plant stem cells have also been said to extend the life of our own stem cells, to delay the effects of aging on our skin and to protect our skin against environmental stresses. Whether all of this is true or not is questionable, but the use of plant stem cells in anti-aging skin care is very popular. This Signature Caviar Serum contains both sodium hyaluronate and hydrolyzed hyaluronic acid, which are two different forms of hyaluronic acid. Sodium hyaluronate is a salt of hyaluronic acid (it is water soluble), which absorbs water really well, moisturizing your skin and helping the ingredients of other beauty products penetrate your skin. The lower the molecular weight of sodium hyaluronate, the better it penetrates your skin, which is why it is always better to look for a serum that contains low molecular weight hyaluronic acid. Hydrolyzed hyaluronic acid also has a small molecular weight, letting it easily penetrate your skin’s cells to stimulate the production of collagen and hydrate your skin. 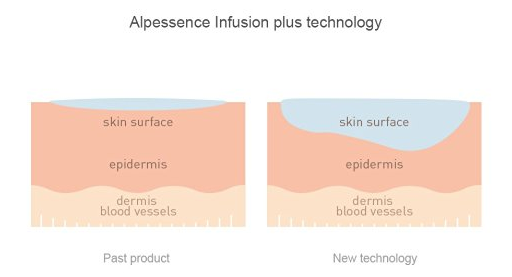 So the Alpessence Signature Caviar Serum has two different forms of hyaluronic acid to give your skin a super boost in hydration, firmness and elasticity. FYI: The molecular weight of sodium hyaluronate is lower than that of hyaluronic acid, so if a serum says that it has a low molecular weight hyaluronic acid, look for sodium hyaluronate or Hydrolyzed hyaluronic acid in the ingredients list, not just hyaluronic acid. As an alpha hydroxy acid, lactic acid is a great skin exfoliator, removing all of the debris and dead skin cells from the top layer of your skin, leaving your skin looking and feeling clean and healthy. Lactic acid is derived from sour milk and is well known for its skin softening properties (this is most probably why Cleopatra bathed in Asses milk!). Today, lactic acid is a popular ingredient in skin care products, where it helps to brighten your skin, reduce fine lines. improve the texture of your skin and reduce blotchy skin and hyper-pigmentation. 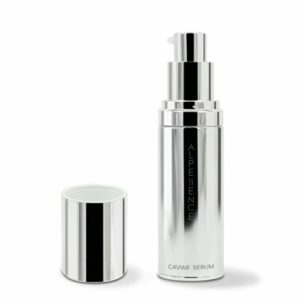 How do you use the Alpessence Signature Caviar Serum? Adding this Caviar Serum to your beauty routine is very simple, because all you need to do it to cleanse your face first and pat it dry. Always leave your skin slightly damp when using a serum that contains hyaluronic acid, otherwise this ingredient can do the reverse of what you want it to do and actually dry out your skin! So leaving your skin damp helps the hyaluronic acid to penetrate your skin better, especially if you live in a dry climate. Having said this, you then need to massage one or two drops of the Caviar Serum into your skin morning and evening, and once it is dry (a minute or less), you can follow up with your favorite moisturizer. Who should use the Alpessence Signature Caviar Serum? 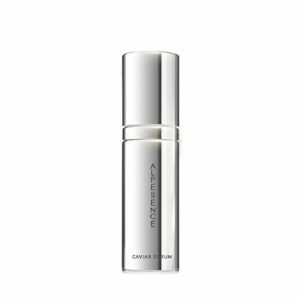 Anyone who suffers from dry or dull skin, fine lines or a loss in definition along the jaw line will likely benefit from using this Signature Caviar Serum. Particularly if you really want to treat yourself to a decadent and luxurious serum that contains caviar and rose stem cells. The majority of customers absolutely love this Caviar Serum finding that it really makes their skin feel so much softer, reduces their fine lines and increases the tone of their skin. Skin seems to be revitalized day by day. Gonna buy more if it’s still working on my skin like this. I have been using it now for about a couple of months and have reordered my second bottle. It has helped soften my fine lines and give me a more even complexion. I just finished my first bottle. My skin seems softer and more supple. There was visible difference in seven days. I will be telling other friends about this product. The skin absorbs the serum like a sponge and the skins healthy glow and appearance is noticeable after only a few applications. This is an expensive facial serum, but sometimes you just can’t put a price on quality! 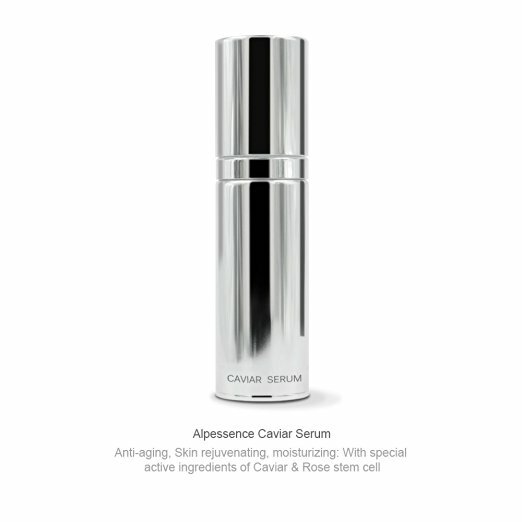 If you want to spoil yourself with a wonderful, luxurious serum that will bring life back to your complexion, then the Signature Caviar Serum by Alpessence might be the one for you. Sometimes we just have to splash out and give ourselves a little treat now and then, and given that this serum works really well for lots of customers, it is definitely worth a second look. 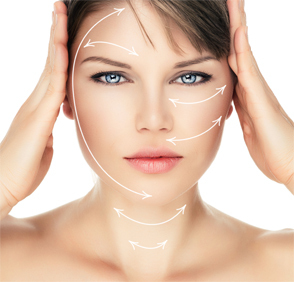 « What are the best skin care ingredients for anti-aging?